Ambitious small companies aiming to grow will be able to access critical guidance and advice from a team of Aycliffe business leaders in a series of new free workshops. 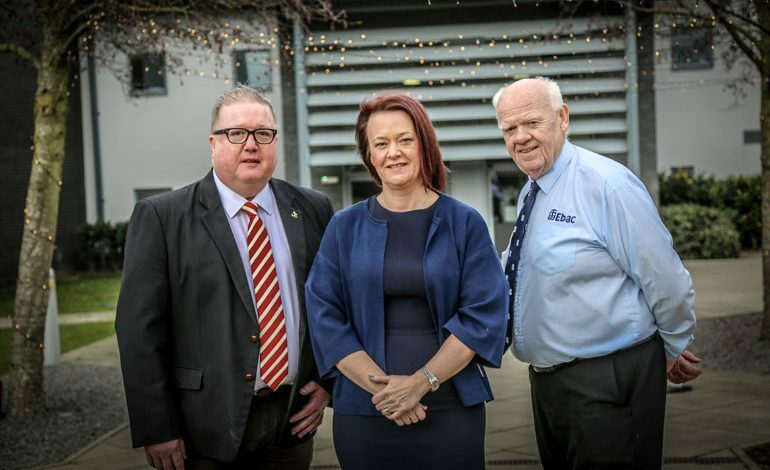 Ebac executive chairman John Elliott, Roman managing director David Osborne, business advisor Pamela Petty and other experienced business leaders will offer one-to-one mentoring sessions as part of the exclusive new workshops to be held on Aycliffe Business Park. Aycliffe Business Park Community (ABPC) has again teamed up with the Durham Business Opportunities Programme (DBOP) to launch the Business Improvement and Growth Programme, starting in the spring, after the success of last year’s scheme. The four free workshops covering all the essentials of growing a business will be delivered on a monthly basis at venues on the business park. The workshops are aimed at giving practical advice and support tailored to growing a business, and those on the courses will hear from business leaders about their experiences and how they’ve overcome issues to grow their businesses. Former Ebac managing director Pamela, who now runs her own mentoring consultancy, Entreprenising, and is also a member of the ABPC board, said: “We ran the workshops last year and they were really successful, but we think the thing that was missing was real experience – real businesspeople, with real businesses that are successful but also have a story to tell. “We’re also offering mentoring sessions to participants, so they can have some one-to-one time with people who can listen and offer critical advice. Roman is the UK’s leading designer and manufacturer of shower enclosures, exporting its products to 54 countries around the world, and employs 235 people from its HQ on the business park. In 2017 the firm was named one of Europe’s top 1,000 fastest-growing companies and was presented with The Queens Award for Enterprise for International Trade. Last year Roman won the Manufacturing award at Aycliffe Business Park’s Make Your Mark awards and also won the prestigious consumer safety award for compliance in bathroom products at the renowned National Home Improvement Council Awards black tie ceremony. Managing director David Osborne says he’s excited to be involved in the growth workshops. “We’re always happy to help local businesses and share experiences – good and bad,” he said. “We already do a fair bit of mentoring small businesses on an informal basis, but hopefully this will be very useful for the participants. Ebac was founded by engineer John Elliott more than 40 years ago and currently has an annual turnover of £17.5m. It has been manufacturing dehumidifiers for decades and is currently the only British company to produce washing machines, from its premises on Aycliffe Business Park. “Of course, we need start-ups, but more importantly we need established small businesses to grow, that’s the key here,” says John. “One of the biggest satisfactions in business, or in employment, is to see people fulfil their potential, at whatever level. Last year, 14 people from 12 businesses benefited from the courses, and organisers are excited about the additions to this year’s workshops. 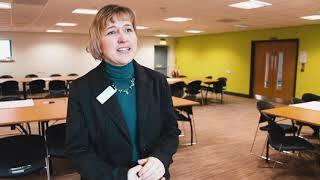 Lisa Wall, business engagement officer for Business Durham and DBOP lead, said: “The aim of the workshops is to identify areas where businesses can start to grow and then create a deliverable business plan around them. “They are aimed at giving practical advice and support tailored to growing your business and are interactive, fun and engaging. “Participants can always expect lots of group discussion, ideas generation, problem solving and interaction. DBOP is a three-year programme for SMEs which is funded by the European Regional Development Fund (ERDF) and delivered by Business Durham. The Durham Business Opportunities Programme has been providing support for businesses in County Durham since late 2016. In that time, the team has delivered strands of intensive support to businesses in the childcare, creative, food and drink and engineering and manufacturing sectors. A fifth strand, ‘Routes to Contract Success’, is also being launched in early 2019, which will help the growth of SMEs in County Durham by supporting them to take advantage of new and existing tender opportunities in the private and public sectors. The programme has already intensively supported over 170 businesses in County Durham as well as engaging with over 320 SMEs, connecting them with opportunities to support the growth of their business. 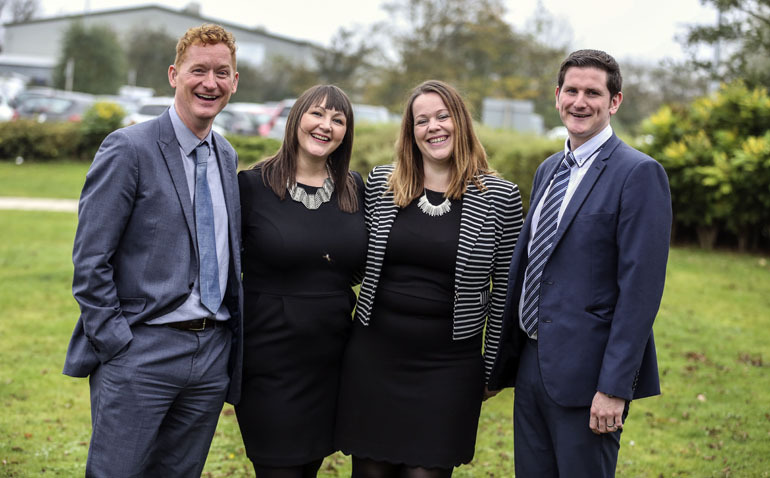 The team aim to help businesses by connecting them with opportunities to support their business growth, as well as plugging gaps in business support and providing intensive strands of support to businesses which no other business support organisation can offer. Rockpool Children’s Books received support for their business through DBOP’s creative strand. “It was an enjoyable and informative day, within half an hour I knew I was in the right place to move my business forward,” said Stuart Trotter, creative director of the publishers. Lee White’s electrical engineering business, Bespoke Electrical, has doubled its headcount and won new business worth £30,000 in the space of a year. Lee explained “The business was only three weeks old when we attended EMCON last year. Childcare entrepreneur Laura Davis, meanwhile, received support from DBOP which has seen her County Durham nursery acquire two other businesses. “At Child’s Play we approach childcare with a focus on development,” said Laura. • The DBOP team (above, left to right): Guy Bashford, Lisa Wall, Pam Reynolds and Michael Harriott.